Liberty. Justice. Fraternity. Equality. Victory. Peace. Light. America. For Edward Iglesias, World War II Navy fighter pilot, these words were more than just associated concepts: they happened to be the names of his 8 sisters. Edward’s father, Santiago Iglesias, was a prominent Puerto Rican labor activist, a member of the first Senate of Puerto Rico and a leading proponent of Puerto Rican statehood in the interwar period. Besides blessing his daughters with the names of these sacred ideals, Santiago Iglesias raised all his children to exemplify them. Edward’s long tenure in the Navy attests to that fact. Edward “Ed” Iglesias was born in San Juan, Puerto Rico, on April 4th, 1921. In early 1928, he caught a lucky glimpse of Charles Lindbergh flying the home stretch of his Latin American tour. “That’s what I want to be when I grow up,” Ed told his sisters. At 12 years of age, he and his large family moved to the United States to settle in Washington, D.C., where his father served as Resident Commissioner of Puerto Rico (an appointment to the U.S. House of Representatives). Ed’s enthusiasm for aviation found an outlet in college. He began flying in 1939, during his freshman year at Virginia Tech, and as soon as he passed his course Ed signed up with a Navy recruiter on campus. 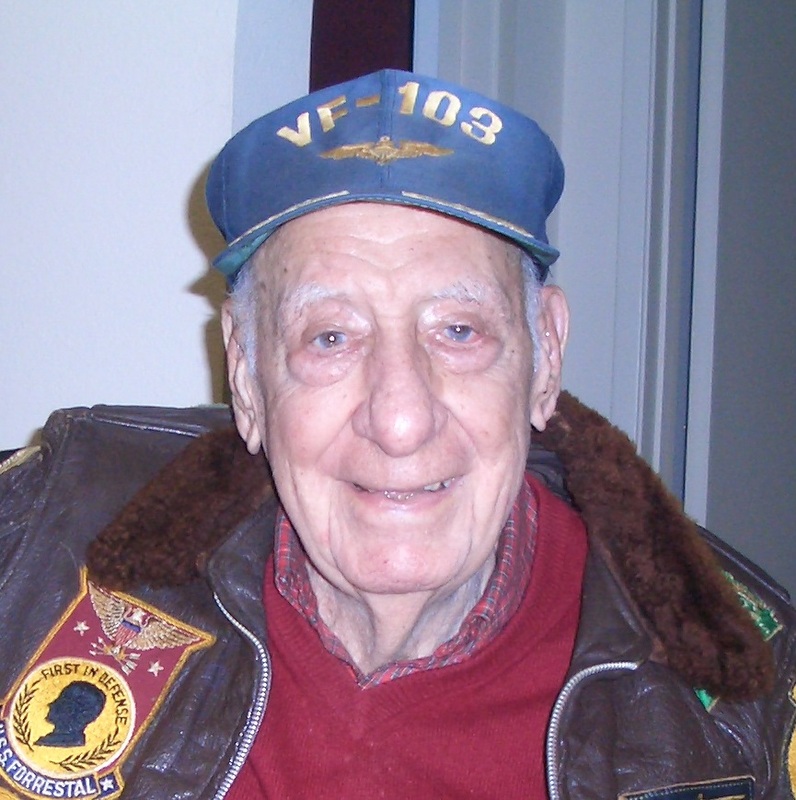 By December 1943, Ed was commissioned an Ensign in the U.S. Navy and on his way to a fighter squadron. He spent his war years in Fighting Squadron 47 (VF-47) aboard the light carrier USS Bataan (CVL-29). He was an exceptional pilot with a knack for gunnery. Ed was regularly chosen to fly as the fourth man in the strike leader’s division, which meant that he saw more than his fair share of action. Fighting 47 went aboard Bataan in the beginning of March 1945, as the mighty Fifth Fleet continued to push its way to the very doorstep of Japan. Ed got his first taste of air combat only a month later, on April 3rd. Per the strike report, “As U.S. Marines and the Tenth Army forces pushed across Okinawa on the third day of the invasion…it was increasingly important…to prevent Japanese air attacks from the islands to the North and from the Empire itself.” To that end, 12 F6F Hellcats of Fighting 47—including Ed’s—took off from USS Bataan with bombs slung beneath their sturdy frames. The bombs were intended for runways dotting Amami Oshima and Kikai Shima, two of the tiny islands in the Ryukyu Archipelago dangling beneath Japan’s 4 principal islands. Though the aerial bombardment did minimal damage to facilities on the ground, it did stir up a beehive of activity from Japanese fighters. Close to 20 enemy planes pounced on the offending Hellcats. The timing was particular bad for Ed. He’d been unable to locate his section leader after his bombing run and was now alone in the center of a swirling melee. To make matters worse, his plane was having serious mechanical difficulties. It shuddered and sprayed oil whenever he tried to apply full power to the engine, forcing him to slow down in a situation where speed often meant survival. Fortunately, just as a column of enemy fighters began closing, Ed spotted a fellow VF-47 pilot to join up with. The odds were still against the Americans at two against four, but the Japanese pilots decided to break off pursuit in favor of bullying a lone Navy pilot who’d become separated from the pack. Ignoring his engine trouble, Ed dove down after the lead Japanese plane to knock him off the imperiled Hellcat’s tail. After chasing the enemy down to a mere 200’ above the waves, Ed started scoring hits that shred chunks off his adversary’s aircraft. The Japanese plane began belching smoke. Then it went belly up and nose down, crashing into the waves below. One week later, over the nearby island of Amami Oshima, Ed and his VF-47 peers traded bombs for rockets in an attack Japanese shipping. Though the rockets proved minimally effective against targets that were already burned or burning, the Japanese again contested the attacks. This time it was a daring fighter pilot, all by himself in a Mitsubishi A6M “Zero” plane, who tangled with Ed’s 4-plane division. The Zero pilot missed his initial pass against the first 2 planes. He flew headlong into Ed and his section leader, Lieutenant Calton, who both peppered the back end of the Zero so liberally that its tail broke off. The plane went hurtling down into the waters below and exploded on impact. Ed and his section leader split credit for the kill. Ed’s last confirmed aerial victory came on May 11th, 1945, on a Target Combat Air Patrol (TCAP) over Okinawa. Because their mission was defensive, the men carried only .50 caliber ammunition—no ordnance. They’d need every bit of it, too: more than 20 enemy aircraft were inbound. There were Japanese fighters, Japanese bombers, and even specially equipped aircraft carrying manned suicide rockets. The Japanese dubbed this weapon the “Ohka,” or cherry blossom. The Americans, on the other hand, called it the “Baka,” Japanese for idiot. Ed spotted the threat first and inaugurated the action by opening up with his six wing-mounted machine guns. The first enemy fighter dodged out of the way, only to be taken down by other men in Ed’s division. Now Ed, again flying with his leader Lt. Calton, turned hard to starboard to chase after three more enemies. Calton’s plane was leaking oil, so he had to pull back, giving Ed the lead in the fight. The Japanese planes scattered before him, but Ed doggedly pursued one of them, turning with it, following his enemy in crazy up-and-down maneuvers as the Japanese pilot tried to shake him. It was to no avail. Ed clung tenaciously to his enemy and fired at just the right moment, lacing gunfire straight through his cockpit. The out-of-control plane spun wildly into the sea, giving Ed a finally tally of 2 ½ kills. The end of the war came soon thereafter, and Ed participated in one of the iconic moments of the ensuing celebration: the massive show of U.S. airpower over Tokyo Bay. Given the sheer number of aircraft crowding the skies that day, flying wingtip to wingtip through wake turbulence, with no margin for error, Ed found that flight scarier than any of the combat that had come before. But soon it was back to the U.S. and into the peacetime Navy. From World War II through Vietnam, Ed’s career in the Navy spanned 30 years and an array of commands that ended in his retirement as a Captain in 1969. He commanded jet fighter squadrons from multiple carriers in the early 1960s, served on carrier commands staffs, and even commanded a boat as part of Operation Market Time during the Vietnam War. Though Edward’s name may sound more prosaic than that of his sisters—recall Liberty, Justice, Victory and Peace—his actions spanning three decades went a long way to contribute to the realization of these ideals in the country his family loved so much.